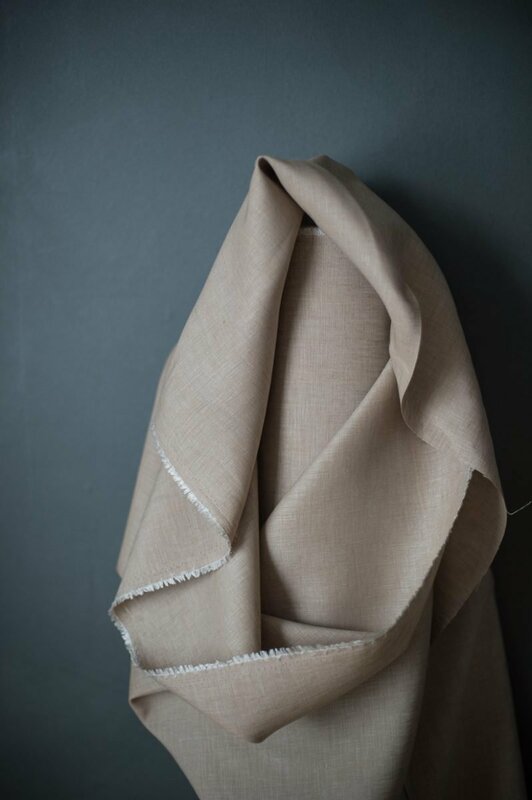 A warm beige Irish linen. 153cm wide. We recommend washing this linen at 30 degrees. 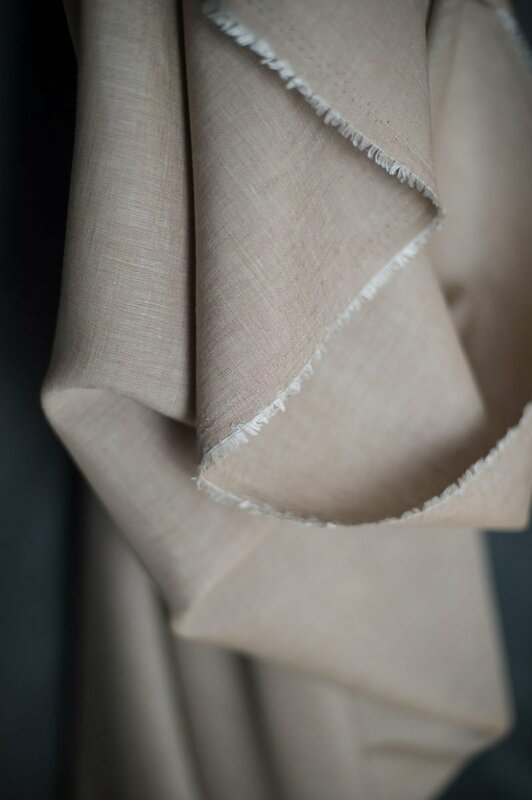 Classic and smart, Butterscotch is suitable for dresses, tops, shirts, and looser fitting trousers. Please request a sample if you need to check the colour or weight. Butterscotch is suitable for the following patterns in our Workbook: Bantam, Heron, Curlew and Strides.